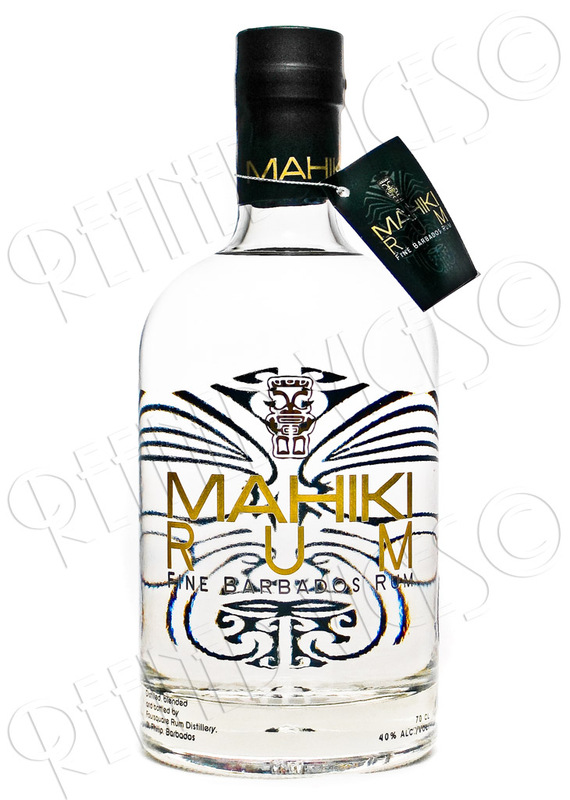 After this Mahiki Rums will be available in other stores located in the UK and sometime in 2009 it has been planned to begin sales in the US. Fortunately, I have been granted the opportunity to review these exclusive rums, for which I must say thank you, Mahiki. Mahiki Rums have been distilled, blended and bottled by the Bajan Foursquare Rum Distillery, currently under the ownership of R.L. Seale & Co Ltd, the third largest bottler in Barbados. Mahiki White Rum has been aged for around two years in bourbon barrels, consisting of a blend of pot- and column distilled rums. 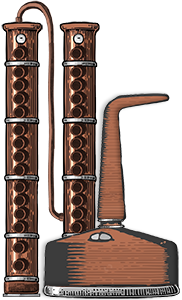 Using lighter column distilled rums with the heavier pot distilled rums, ensure the purity of the rum. The Mahiki rum bottle is an interesting one. The bottle has wide and round shoulders and the bottom is thick giving it a very sturdy appearance. I like sturdy and heavy bottles, but some have expressed concern regarding this as they think it isn't environmentally sound due to the effects that shipping heavy glass bottles around the world might have. "The choice of the bottle is because my best friend who developed Monkey Shoulder Whisky in UK had this bottle and I just wanted to piss him off. 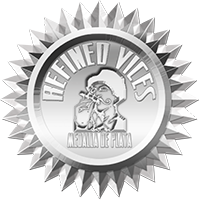 I like the shape too, for me it is a mix of modern and traditional bottle of rum"Papa Jules. Mahiki White Rum is clear with no visible impurities as expected, no surprises here. A swirl in the glass creates long, very thin legs and small droplets on the sides of the glass. The nose is light and smooth with an alcohol aroma and some sweetness to it. I can also detect hints of toffee and dried fruits. The first sip is sweet and tingly and leaves a slightly bitter alcohol taste in the mouth but the second and the third sip allows hints of toffee and dried fruits to come through. Despite having some burn, Mahiki Rum is still quite smooth for a young rum. Mahiki White Rum finishes short and clean with a hint of toffee again. The small pamphlet around the neck includes a Mojito recipe so I decided to get mixing since I happened to have all the ingredients except the Hawaiian shirt. Put on your most colourful Hawaiian shirt! 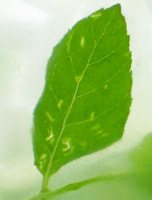 Place a few washed mint leaves in the bottom of a highball glass and bruise them slightly with the back of a spoon. Pour a measure of Mahiki White Rum, squeeze in the juice of one lime and add two teaspoons of caster sugar. Fill the glass with ice cubes and top up with soda water. Swizzle it with a spoon and serve with a smile! I’m not a big fan of colourful Hawaiian shirts so I don't own one but I do like tropical drinks as much as the guy with the colourful shirt and Mojito just happens to be my favourite summertime drinks. Apart from the shirt, I made the Mojito as instructed. I'm not sure what kind of mint leaves I should be using but I happened to have a fresh bush of peppermint leaves which added a nice refreshing flavour to my Mojito. My suspicions, that using one whole lime might turn the drink too sour, were correct. Luckily I had some simple syrup in the refrigerator to counter sour lime juice. Three teaspoons later the balance of the lime and sugar were perfect. Working together with the lime, sugar and Mahiki White Rum, the bruised mint leaves released just the perfect amount of that nice fragrant oil making this Mojito probably the best damn Mojito I've ever made! The light flavour of this rum really is good for a Mojito as it doesn’t push through the other ingredients like some other rums I’ve used in the past. Pour an amount of simple syrup and freshly squeezed lime juice on the bottom of a highball glass. Add a dash of soda water. Gently crush the mint but not so that the leaves get ripped and you end up with a jungle in your mouth. 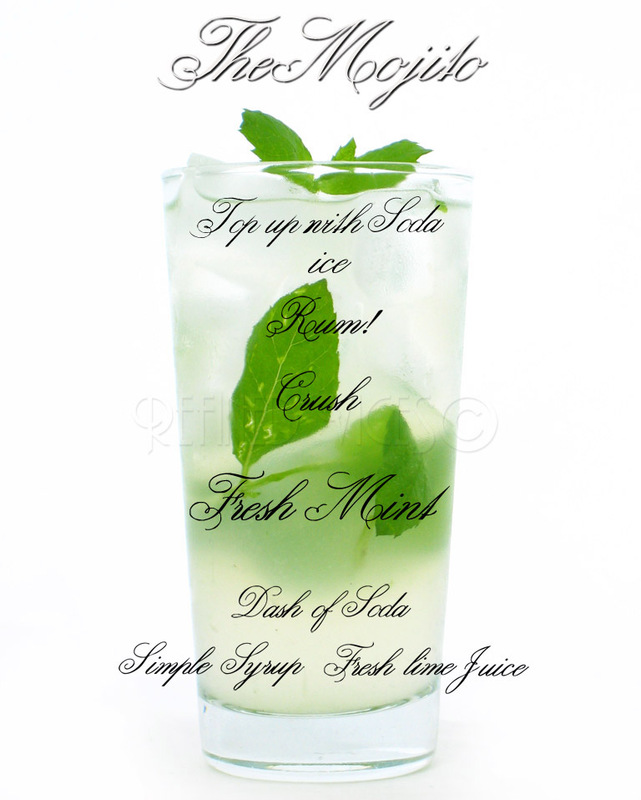 - In my opinion crushing the mint with the simple syrup, lime juice and soda water allows them to mix better. Add 40 to 50 ml of white rum, in this case Mahiki White Rum. Fill the glass with ice. - Filling the glass with ice allows the drink to stay a lot cooler and it won’t water it down so fast because the ice cubes take longer to melt since every cube is cooling each other. Top it up with soda water and stir well. Mahiki White Rum is very balanced light flavoured rum that doesn’t push through when mixed, which makes it ideal for refreshing drinks like the Mojito. Have you tried any of the Mahiki rums or have delicious cocktail recipes? Share your thoughts and recipes in the forums!